During the Cold War, Russia and the Allies weren’t exactly BFFs. For fifty years, both sides tried to hide their failures from each other, creating a climate where you couldn’t be sure what was real and what was propaganda. So when a Czech agent leaked information about a failed Russian spaceflight in December 1959, no one knew what to make of it. According to the story, Yuri Gagarin’s successful 1961 trip into orbit was only one in a long line of Soviet space attempts—and merely the first one that didn’t end in the pilot’s gruesome death. Worryingly, there may even be some evidence to this. In February 1961—two months before Yuri’s flight—a listening station in Italy apparently recorded two Russian voices broadcasting the words “everything is satisfactory, we are orbiting the Earth” from space. A few days later, they picked up another garbled transmission that sounded a whole lot like a scream of terror, followed by empty silence. Two later recordings were also made, including one of three sobbing people saying “Conditions growing worse, why don’t you answer? . . . We are going slower. . . the world will never know about us. . .” So what were they? Clever fakes? 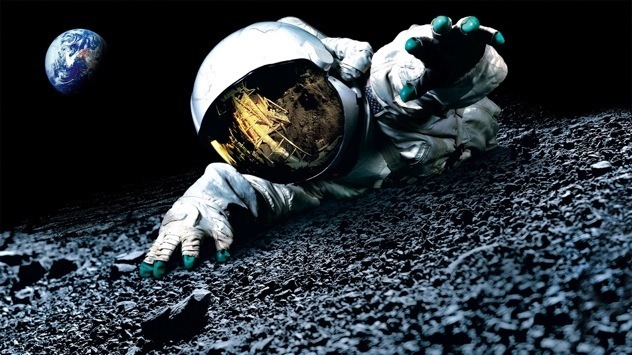 Evidence that Russia abandoned irrecoverable cosmonauts to a horrifying fate? We may never know.